Fresh from solving the mystery of who killed Michael Collins in Irish Gold, Dermot Michael Coyne and Nuala Anne McGrail are reunited in Chicago. An accountant by day, Nuala sings in a local pub at night, while dreaming of making it big. Dermot compares Nuala to Irish lace-"thin and delicate and pretty, and just a little bit complicated. "But their courtship in once again interrupted, this time by one of Nuala's "spells". Nuala is fey, as they say in the Old Country, and she occasionally has visions from the past. Dermot Michael Coyne of Chicago goes to Ireland to uncover the true story of his grandparents, who left Ireland under a veil of mystery in the 1920s. There, Coyne meets Nuala Anne McGreal, a college student who helps him translate his grandmother's diaries. His grandparents, the O'Riadas, and the bloody history of Ireland from 1919 to 1923 are mysteriously linked to present-day peace talks between the Irish and English. 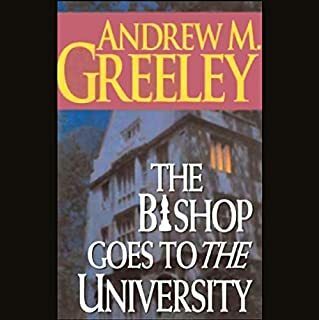 International best-selling author Andrew M. Greeley is hailed by the Los Angeles Times as "a fascinating novelist" with a rare, possibly unmatched point of view. In this baffling mystery, the unpopular and incompetent Bishop Gus Quill is assigned to the Archdiocese of Chicago despite loud protests. 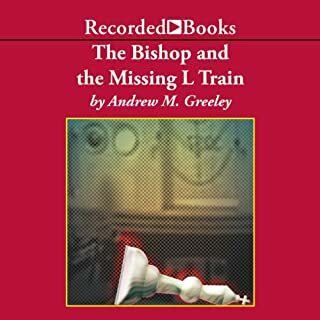 When he disappears while riding the L Train, it falls to Bishop Blackie Ryan to find him. For childhood friends Leo Kelly, Jane Devlin, and newly ordained "Packy" Keenan, the summers they spent at the lake together were times of pure magic. And no summer was more enchanting than the summer of 1948 - until a tragic car wreck killed two of their friends. The irrepressible Bishop Blackwood Ryan returns as his Cardinal dispatches Blackie to The University on the South Side of Chicago to investigate a baffling locked-room mystery. Someone has assassinated a Russian Orthodox monk in his office at the Divinity School, despite the fact that the door of his office was bolted shut from the inside and no killer was found within. On a flight to Chicago, millionaire media mogul Raymond Neenan receives this bit of angelic advice and finds himself staring death, and the eternal hereafter, in the face. He soon finds that making amends in his personal and business life is no easy task. In his effort to get to the top, he's damaged a lot of lives, including his own. He's hated and feared by his parents, his ex-wife, his children, and practically everyone he's ever met. In the hustle of modern technology it might seem odd to discover an angel surfing the Internet, but what an interesting paradox that would be. Here, in Andrew M. Greeley's fine tale of young love and faith, Toby Tobin considers the peculiar terms of his great-uncle's will. Ten million dollars, a required visit to Ireland, ending a Tobin family feud, and a request to court his eight cousin once removed, Sara Elizabeth Anne Tobin. 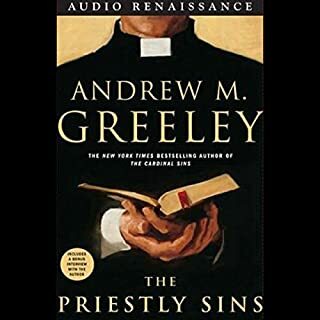 With over 15 million copies of his books in print, Father Andrew M. Greeley has an unmatched flair for writing entertaining fiction that offers wry observations about religious and secular life. His popular novels featuring Bishop Blackie Ryan offer delightful locked-room mysteries set against the intricate politics of the Catholic church. Nuala Anne McGrail has twice before amazed her faithful suitor, Dermot Coyne, with her psychic ability to "reach back" to the past and discover a wrong that needs righting. With their wedding only a few weeks away, Dermot's not a bit surprised when, while paying respects to his grandparents in Chicago's Mount Carmel Cemetery, Nuala points to the grave of the famous bootlegger Jimmy "Sweet Rolls" Sullivan and states in her usual charming and matter-of-fact way that there is nobody buried in it. Before you can say "Erin go bragh", Dermot finds himself doing the legwork on yet another historic mystery - this time on the odd circumstances surrounding the death of Al Capone's most famous rival. And, as in their other adventures, he finds that historic mysteries often can be too current for safety - and that even discreet inquiries can incur potentially lethal answers. 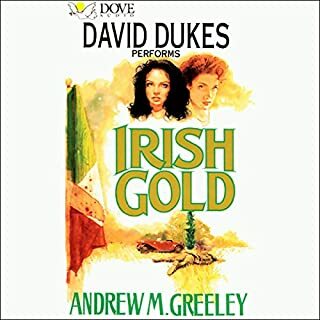 Erin go bragh: listen to the rest of the Nuala Anne McGrail series. I was pleasantly surprised to find the first three books of Nuala Anne McGrail on Audible. Andrew Greeley quickly became my new favorite author. 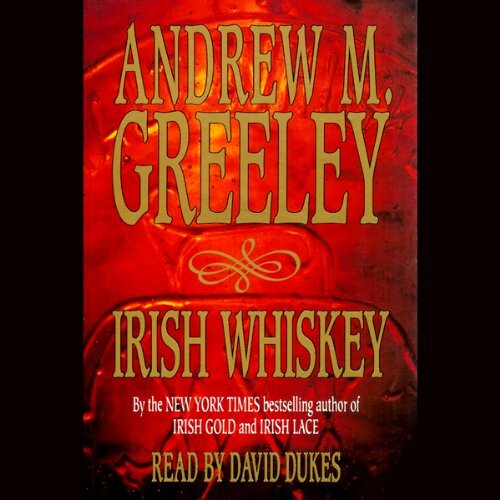 Irish Whiskey continued the story line very well. 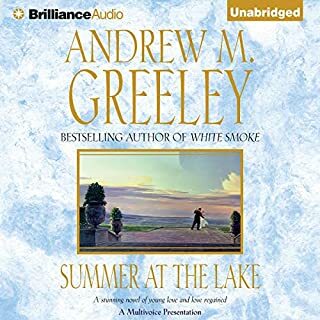 My only disappointment is that the rest of the books of this series are not on Audible. The narrator did a superb job portraying the characters. I would recommend this author to all. 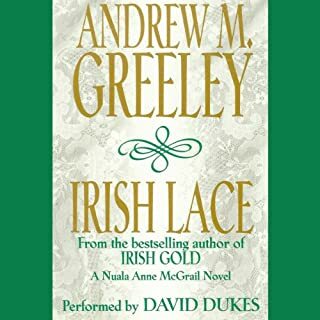 Every time the narrator mentioned how he pined after his Nuala Anne...I wanted to hurl. It just felt so fake. I’m sorry, it just did...bleh! Once I honed the ability to shut my ears when I heard the tidbits about his desire coming up, I was able to enjoy the rest of the story!